What Are The Causes Or Risk Factors Of Down syndrome? There are many people who have heard of Down syndrome, but do not know exactly what the condition is. In the following article, we take a look at Down syndrome and provide information about the condition to help you form a better understanding. October is Down Syndrome Awareness Month in the United States and it is a chance to put the spotlight on the condition and raise its public profile. During October, people with Down syndrome are highlighted, showcasing their talents and accomplishments. Down Syndrome Awareness Month is not about celebrating a disability; it is about educating the public and raising awareness about these unique people. Down syndrome is a genetic condition in which a person is born with an extra chromosome. Chromosomes are small portions of the genes in the body. Genes determine how a baby will grow and develop in the womb and after birth. Typically, a human infant has 46 chromosomes, but babies with Down syndrome carry an extra copy of chromosome 21. Having an extra pair of chromosomes can cause both physical and mental challenges for an infant. What are the common physical characteristics associated with Down syndrome? According to the Centers for Disease Control, Down syndrome is the most common chromosomal condition diagnosed in America. Each year, there are about 6,000 babies born with Down syndrome in the United States. When taking this figure into consideration it means that 1 out of every 700 babies born are diagnosed with Down syndrome. 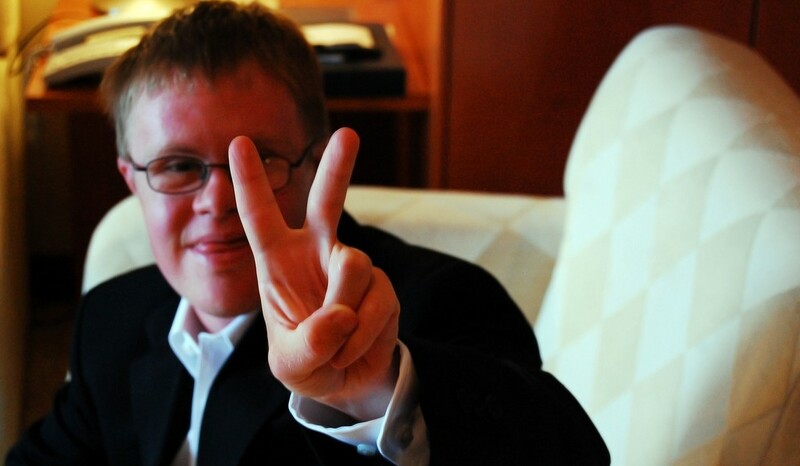 How many types of Down syndrome are there? Trisomy 21: Approximately 95% of people born with Down syndrome have Trisomy 21. With Trisomy 21, each cell in the body has 3 separate copies of chromosome 21 rather than the usual 2 copies. Translocation Down syndrome: Only a small percentage of people have this type of Down syndrome. This type occurs when an extra portion or a whole extra chromosome 21 is present, but it attached to a different chromosome instead of being a separate chromosome 21. Mosaic Down syndrome: With Mosaic Down syndrome, it is a combination or mixture of Trisomy 21 and Translocation Down syndrome. For people with Mosaic Down syndrome, some of their cells have three copies of chromosome 21, but other cells only have two copies. Aarskog-Scott Syndrome and stunted social skills in children? Do all children with 22q11.2 Deletion Syndrome have bony abnormalities? What if chromosome 22q11.2 deletion runs in family? physical characteristics of Phelan McDermid Syndrome?